This full-length Austen continuation takes place a few years after the elder Bennet sisters had married and focuses on the most inconsequential sister, Mary. Having spent a good deal of time with Jane at her new home, High Tor, and Elizabeth at Pemberley, Mary had much improved her music and conversation skills, learning to curb her tongue and step outside her comfort zone. Mr. Bennet had accepted her as a fellow intellectual and had been challenging her to expand her reading and interests. As such, the new Mary–although still considered boorish by her two younger sisters–was a great deal more pleasing in the society of others. On a visit with Jane, she attracts a suitor, who is in the midst of being relentlessly pursued by Kitty Bennet–and thus the drama begins. Mary, however, has mixed feelings about this, still believing that no man, especially one such as the dashing and wealthy Henry Walsh, would have an interest in the “boring” sister. As she wars with herself, and each of her family members for various reasons, the true Mary comes to light, much to the surprise of some and the vexation of others. This is a delightfully witty story, making the best use of Mary’s character that I’ve read. Although flawed, she is none-the-less an admirable protagonist, continuing to grow throughout the story. All situations and events are plausible and the characters are well-fleshed. 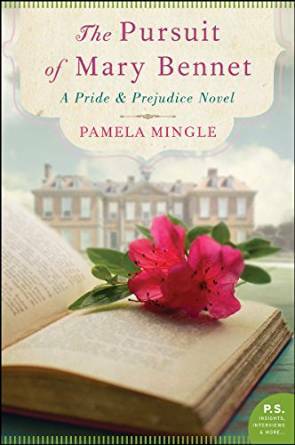 Austen lovers should definitely add this one to their lists!